Greenleaf Book Group Press, 9781626340190, 304pp. If I relentlessly drive my team to achieve our goals, they won t like me. If I try to make everybody on the team happy, we won t hit our numbers. As a leader, you ve likely felt this fundamental tension the tension between driving results and developing positive relationships with your people. Despite all the research telling us that effective leaders do both, most of us struggle to balance the happiness of our teams and the health of the bottom line. We are more comfortable focusing on one or the other, and we feel overwhelmed and drained by the challenges we face when we try to accomplish both. Be happy "and" drive productivity. Dr. T's approach will help you develop these universally effective behaviors through an online assessment and boots-on-the-ground tools, like earning trust through transparency, treating adults like adults, and taking a no-fear approach to feedback. 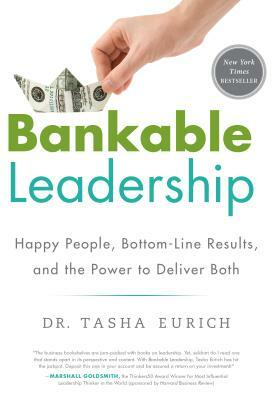 Dr. Tasha Eurich is a workplace psychologist, speaker, author, and principal of The Eurich Group. Her life s work is to help organizations succeed by improving the effectiveness of their leaders and teams. With a contagious passion and energy, Dr. T (as her clients call her), pairs her scientific grounding in human behavior with a practical approach to solving leadership challenges.Dr. T regularly works with executives in large, Fortune 500 organizations and serves on the faculty of the Center for Creative Leadership. Her expertise has been highlighted in outlets like "The New York Times" and "Forbes," and she has published articles in "Chief Learning Officer Magazine," "The Journal of Business Psychology," "The Work Style Magazine," and other magazines and journals.She lives in Denver, Colorado, with her husband and three rambunctious dogs."